1 Minute from Exit B3 Ginza Station. 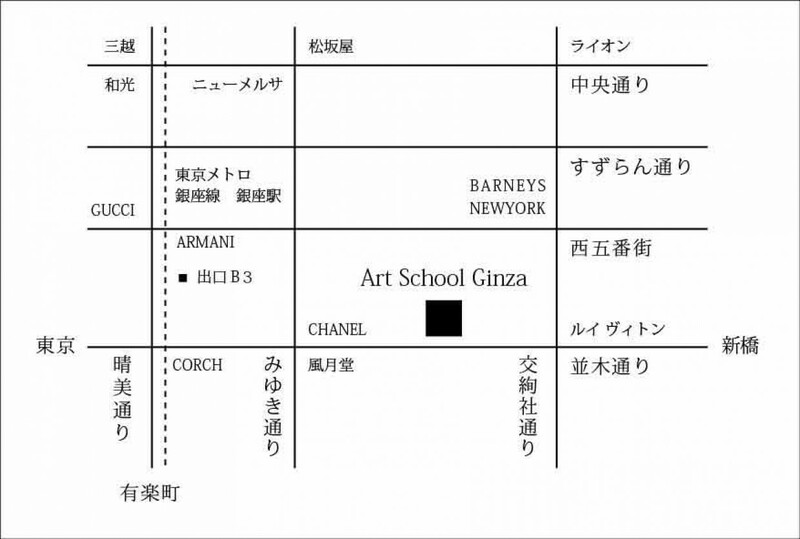 Art School Ginza is located in the Iwatsuki no.2 building 7th floor.Take Tokyo Metro Ginza, Marunouchi and Hibiya lines Ginza station Exit B3. Near Damiani Boutique. Very close from the station! from JR Yurakucho station in 3 min.from JR Shinbashi station in 5 min.